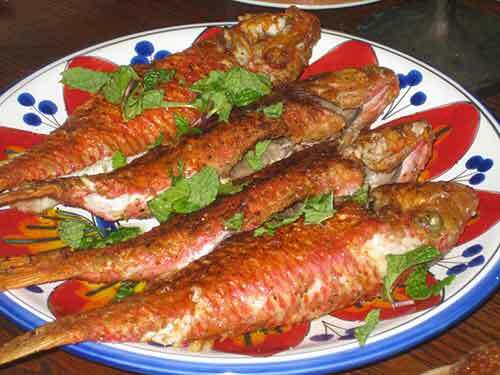 Red mullet is delicious grilled on the barbecue, wrapped in vine-leaves to protect it. It is not necessary to gut the fish before preparing it but it must be scaled. If you remove the guts, keep the liver and replace it in the belly cavity before cooking: it is as delicious today as it was in ancient times. 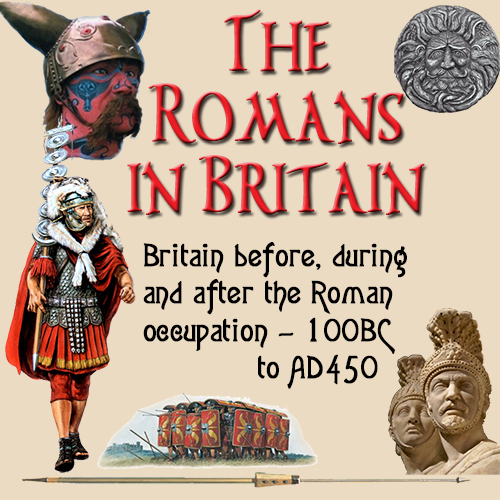 The Romans also thought highly of the eyes and cheeks of the fish. Go with it. Original recipe: Aliter ius in mullos assos: rutam, mentam, coriandrum, feniculum, omnia veridia, piper, ligusticum, mel, liquamen et oleum modice. Translation: Another sauce for grilled red mullet: rue, mint, coriander, fennel, all fresh, pepper, image, honey, garum and a little oil. In a mortar, grind rue, mint, coriander, fennel seed, pepper, and lovage seed or leaves. Combine with honey, fish stock, olive oil, and white wine. Heat to a boil, then simmer gently for 25 minutes to reduce. Serve with the oven roasted trout or red mullet. Take large bunches of fresh mint, coriander and fennel, but only a few sprigs of rue, or the sauce will be too bitter. Wash the herbs and pound them, then continue to pound as you pour in a thin stream of olive oil until you have a thick sauce. Stir in a dash of garum, or anchovy paste to taste, and a teaspoon of honey. The herbs and the oil should form a thick sauce.